Reaping the benefits of the housing market...on a budget! Reaping the benefits of the housing market…on a budget! With money flying around the world in futures, derivatives, hedge funds, mutual funds, commodities trading, T-Bills, bonds, currencies and the like (Phew! 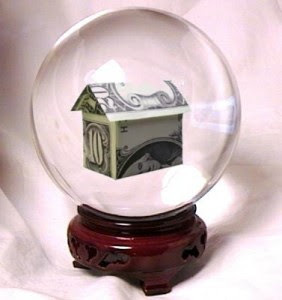 ), real estate investing offers the buyer something unique: a tangible object that one can actually OWN. That feature, coupled with the fact that housing prices seem to be endlessly going up in Canada, make how to invest in real estate a hot topic right now. So here’s some tips from the Globe and Mail. First, if you are a passive investor then real estate investment trusts (REITs) might be the way to go. They’re kind of like mutual funds in that someone manages the money for you and your money is pooled with others. One way they’re not like mutual funds? While the best mutual fund in Canada has made a risk-adjusted return of 10.05% in 2009, the REIT index has gained 60.8% (now THAT’S a spread). If you want to be a bit more active in your portfolio, then maybe consider a real estate syndicate. Brokers put together people with money to buy buildings TOGETHER. Finally, if you’re a real estate big whig (and you probably don’t need this post to tell you how to get involved in real estate investing) you likely buy industrial or commercial properties. And they’re not in major cities like you might think. They tend to be either smaller cities in the Prairies or out on the East coast. Rental properties are interesting. They certainly tie the buyer up with a lot of risk (i.e. What if no one rents it? What if whoever rents it doesn’t PAY?). But, with interest rates at all time lows, more of the monthly rental payments can go straight into the investor’s pocket. Only question is, do you have the TIME for a rental property? Otherwise you have to pay a property manager and that gets expensive. So there you have it! Happy hunting!